DC Universe is a streaming service that caters to the DC fans with curated comics, animated movies and series, and select live-action films and series. One original content it has is Titans, a live-action series based on the Teen Titans. The service is getting ready for the release of another original series with Doom Patrol which features a young Cyborg, Robotman, Negative Man, Crazy Jane, and Elasti-Woman. The new but short promo video is all about the team. The video shows each of the characters as they come together to try to stop a supervillain. Leading the team is Timothy Dalton, the former Bond actor, who plays The Chief. Doom Patrol isn’t your regular superhero team since each member has had a tragic background including how they got their powers. 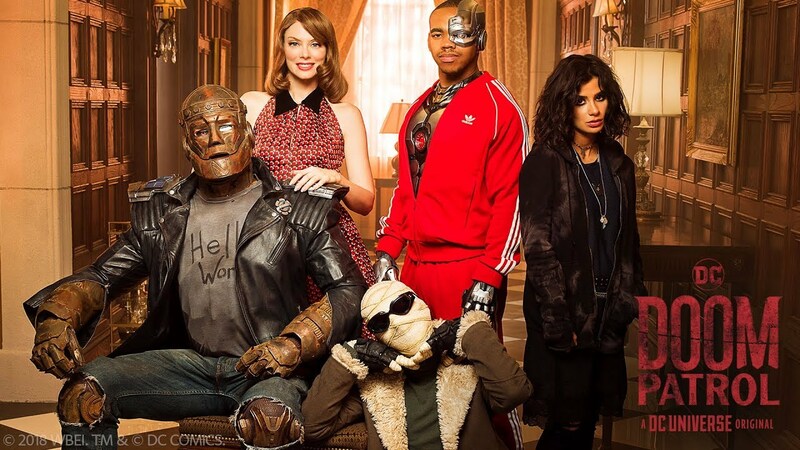 Synopsis: DOOM PATROL reimagines one of DC’s most beloved groups of Super Heroes: Robotman aka Cliff Steele, Negative Man aka Larry Trainor, Elasti-Woman aka Rita Farr and Crazy Jane, led by modern-day mad scientist Niles Caulder aka The Chief. Each member of the Doom Patrol suffered a horrible accident that gave them superhuman abilities, but also left them scarred and disfigured. Traumatized and downtrodden, the team found their purpose through The Chief, coming together to investigate the weirdest phenomena in existence. Following the mysterious disappearance of The Chief these reluctant heroes will find themselves in a place they never expected to be, called to action by none other than Cyborg, who comes to them with a mission hard to refuse. Part support group, part Super Hero team, the Doom Patrol is a band of superpowered freaks who fight for a world that wants nothing to do with them. The series is based on the DC team from creators Arnold Drake, Bob Haney and Burno Premiani. It stars Brendan Fraser as Robotman, Matt Bomer as Negative Man, April Bowlby as Elasti-Woman, Diane Guerrero as Crazy Jane and Joivan Wade as Cyborg. Doom Patrol premieres on February 15, 2019, which new episodes airing weekly on DC Universe. The comic series has influenced comics like Gerard Way and Gabriel Ba’s The Umbrella Academy. The post DC Universe’s Doom Patrol gets a new promo video appeared first on Nerd Reactor.